BMW has a large customer base of over 23,67,603 and an employee base of 1,24,729 as of 2016. BMW has around 31 production and assembly units in 14 countries across the globe. Why is it Important to Insure Your BMW? As per the Motor Vehicles Act, it is mandatory for every car owner to avail a car insurance. Aside from the rule, availing car insurance protects you from unforeseen liabilities due to road mishaps, natural calamities, etc. 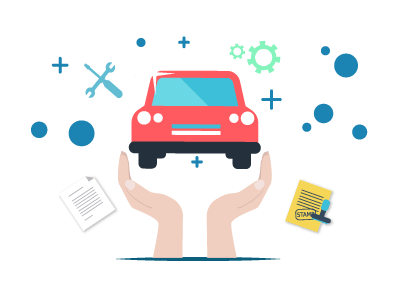 A comprehensive car insurance plan provides an overall coverage to you by covering own damage liabilities as well as third-party liabilities at the time of a mishap. A third-party car insurance covers third-party liabilities at the time of a mishap. You can purchase the car insurance online or renew the existing one online via third-party insurance websites or the insurer’s official website. You can meet with an insurance agent or visit the nearest branch office of the insurer to buy or renew a car insurance policy. In case of a reimbursement claim, you have to settle the repair bills with the garage and submit the payment receipt to the insurer to get the amount you spent on the repairs reimbursed. A car insurance is an agreement between the insurer and the insured where the insurer promises to financially protect the insured against the liabilities that he/she may incur at the time of a mishap. An excess is a part of the insured amount that the policyholder has to pay at the time of claim settlement. A letter of endorsement is a letter that you submit to the insurer when you want to make certain changes to your insurance policy document. What is a cover letter in car insurance? A cover letter is a temporary document that the insurer gives the insured until the insurer can issue the original insurance policy document. What is total loss in car insurance? When a car is damaged beyond repair as a result of a mishap, the car is considered as total loss by the insurer. BMW launched the all-new BMW Z4 Roadster in India and is available at all the BMW dealerships in India. The new model by BMW comes with two engine variants - BMW Z4 M40i and the BMW Z4 sDrive20i. The former is considered to be one of the sportiest models ever launched by the automakers. While the BMW Z4 M40i provides a sporty feeling, the BMW Z4 sDrive20i comes with a more dynamic appearance. The ex-showroom price of the BMW Z4 M40i was Rs.78.9 lakh while the BMW Z4sDrive20i would cost Rs.64.9 lakh.